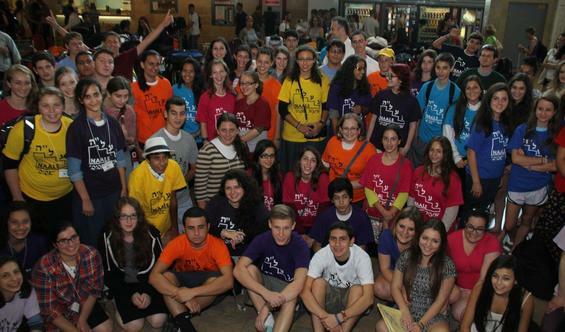 About 190 youngsters from 26 countries on five continents recently landed in Israel to start the new year with Naale Elite Academy, a unique, exclusive, top quality Israeli high school program for Diaspora Jews. 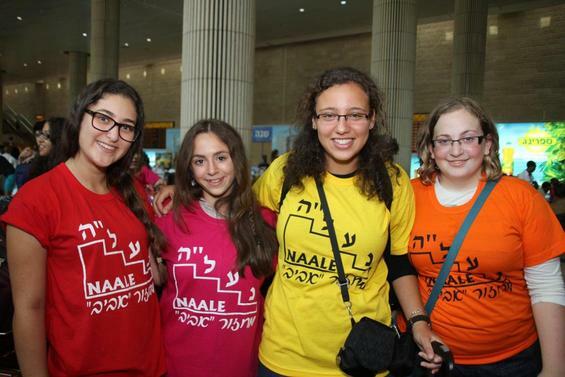 The Naale Elite Academy program increases in popularity each year and more and more young Jewish teenagers are deciding to finish school inIsraelrather than stay with what’s familiar to them. The majority of this year’s intake arrived in time to celebrate the Jewish holidays at their respective schools. Once again, the numbers from the US topped the list at 91, followed by France at 19 and Canada at 14. Other countries represented included Italy (9), Brazil (8), Mexico (7), South Africa (7), the UK (6), Germany (5), Spain (4), Argentina (3), Chile (1), Colombia (1), El Salvador (1), Uruguay (1), Venezuela (1), China (1), Japan (1), India (1), Belgium (1), Bulgaria (1), Denmark (1), Holland (1), Serbia (1), Switzerland (1) and Kenya (1). 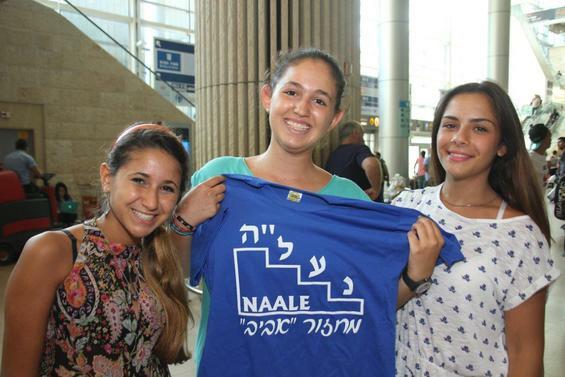 Naale Elite Academy enables young Jews from the Diaspora to complete their last three or four years of high school in Israel. The program integrates these teenagers into various high schools around the country, ranging from coeducational to Religious Orthodox and Haredi. A boarding school experience with a difference, Naale enables young Jews to study at an exclusive, top quality academy while learning to be independent, self-sufficient and resilient—in the international melting pot that is Israel. The program was established in 1992 as a joint initiative of the Prime Minister’s Office and the Ministry of Education. Its mission is to enable Jewish high school students worldwide to study and to finish high school in Israel. The first 10 years focused on bringing youth from the FSU to Israel, but 12 years ago, Naale Elite Academy opened its program to the West, step-by-step, including English-, French-, German- and Spanish-speaking countries. Since the program launched, more than 12,000 select high school students from the United States, Europe, the FSU, South America, Germany, Poland and South Africa, among others, have graduated through the program, a unique three-year scholarship program co-funded by the State of Israel (the Israeli Ministry of Education) and the Jewish Agency for Israel. Divya Horesh (16) from Kansas, US, comes from a family that has been home-schooled. She understands that there are going to be huge differences between Naale and her own experience so far, but she’s up for the challenge and very excited. She felt it was time to do something different and after seeing a flyer at a NCSY youth event, decided to try Amanah Religious Girls’ School in Kfar Saba, north of Tel Aviv. Yechieli doesn’t believe there will be problems for Horesh in adjusting to this new experience. “When a young person comes from one country to another (for Naale), it’s such a big change from so many different aspects, so for her, for example, instead of four changes, she will have five,” he says. Sisters Maria (16) and Elizabeth (15) Gutkin (16) from Port Elizabeth, South Africa, decided to come on the Naale program together. 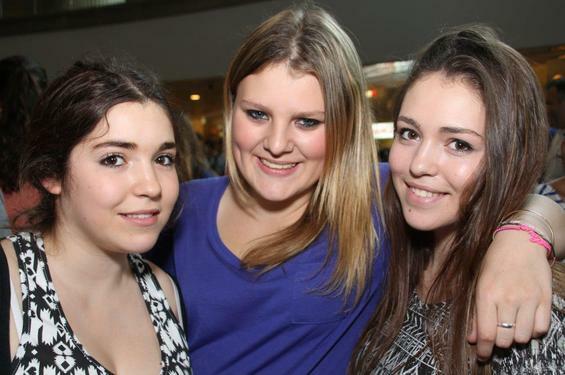 They will both attend Mosenson, a co-educational school in Hod Hasharon. “I found out about Naale the year before last,” says Maria. “I had been through the interview process and was then accepted to a religious girl’s school. But I wasn’t ready for that so I thought I would try again the next year. Then I heard about the coed school, Mosenson, and I thought, cool, let me give it a go. I’m ready this year. I need a good education if I want to maybe become a doctor and it’s a different opportunity here. I get to learn another language and meet people from all over the world. Look around. We’re surrounded by people from everywhere! It’s really cool,” she says. Yechieli reminisced about the history of Naale and mentioned the second cycle of Naale students who arrived in 1993. “Prime Minister Yitzhak Rabin (z”l) came to the airport and saw, in one shot, 750 children with very, very little luggage, and very, very strange clothing, like the old Russian style my grandfather wore in a picture I had from when he was 14. The success of the Naale Elite Academy was summed up by Rabin when he said: “There is no more noble enterprise than Naale.” But it could’ve had a very different outcome. Rabin made two big decisions about Naale, which affected its future. “In 1994, Prime Minister Rabin made the decision to transfer the control of Naale from the government to the Jewish Agency. Completely. The whole thing. And all of us went home,” says Yechieli. “A year later—it was November 1, 1995, three days before his assassination—he decided to bring it back. He realized that he had made a mistake and the government should be responsible for Naale, not the Jewish Agency. Not because there was something wrong with the Jewish Agency, but he felt that such a program, with a vision like Naale should not depend on fundraising; it should be a part of the State budget. Thousands of Naale graduates from all over the Jewish world went on to higher education inIsrael, became Israeli citizens and have helped to build up the country in various fields. They have brought their culture, background, experience and education to the people and the State of Israel, leaving their mark on a country that welcomes Jews from every corner of the world.